siba 3 weeks, 1 day ago. The good news is that LineageOS 16 for Galaxy S6 Edge is now available to download and install. This build of LineageOS 16 for Galaxy S6 Edge is brought to you by developer enesuzun2002. 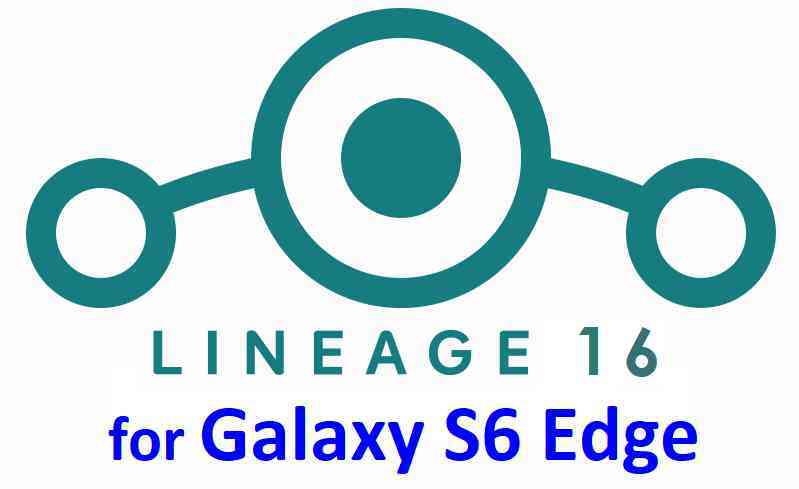 Searching where to download LineageOS 16 for Galaxy S6 Edge? Wondering how to install LineageOS 16 on Galaxy S6 Edge? If you have one of the question for your Galaxy S6 Edge, then you are at the right place and here is where to download and how to install LineageOS 16 on Galaxy S6 Edge, with a step-by-step guide. THIS IS AN INITIAL BUILD OF Galaxy S6 Edge LineageOS 16 WHICH MAY NOT BOOT AT ALL OR EVEN IF IT BOOTS, IT MAY HAVE MANY BUGS. Installing a TWRP recovery on Galaxy S6 Edge may delete all your data. Before proceeding further you may consider backup all data on the phone. – Samsung features such as: KNOX, Samsung Pay etc. Download and Copy the LineageOS 16 Gapps and the Galaxy S6 Edge LineageOS 16 ROM ZIP file to your phone. Boot into the TWRP custom Recovery to install this LineageOS 16 for Galaxy S6 Edge. Install the Galaxy S6 Edge LineageOS 16 ROM file that you have copied into the phone. Reboot and Enjoy the Galaxy S6 Edge LineageOS 16 Android 9 Pie ROM. Install the LineageOS 16 on Galaxy S6 Edge. If you don’t have GApps after upgrading the LineageOS 16 on Galaxy S6 Edge, then install the GApps. If you don’t have ROOT after upgrading the LineageOS 16 on Galaxy S6 Edge, then install the SuperSU or Magisk or the Lineage SU binary. Once everything is done, reboot and Enjoy the LineageOS 16 for Galaxy S6 Edge. Complete the initial setup and enjoy Android 9 Pie with LineageOS 16 on Galaxy S6 Edge. Stay tuned or Subscribe to the Galaxy S6 Edge (zeroltexx) LineageOS forum For other Android Pie, Android Oreo ROMs, Nougat ROMs, or other ROMs and all other device specific topics.